I LOVE incorporating the local landscapes into my work. I honestly think West Yorkshire is one of the most beautiful places in the country. It's rugged, wild and there's plenty of open, green space. 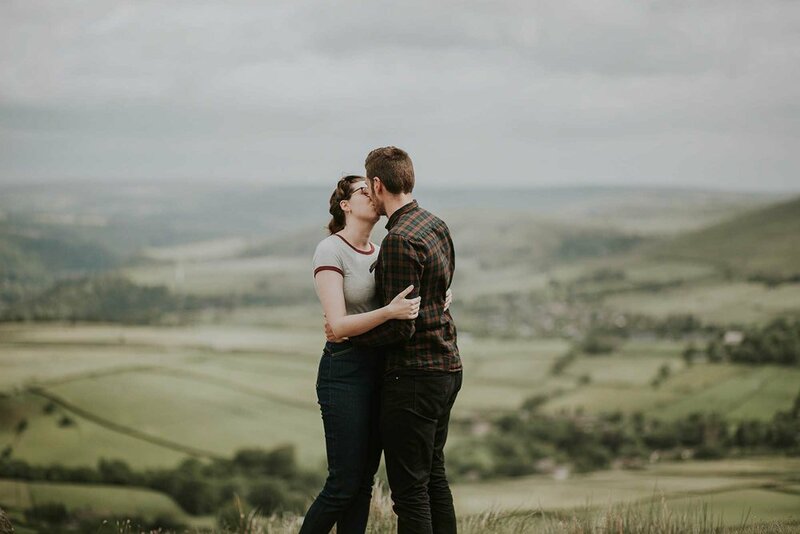 Heather & Andy are getting married later this year at Samlesbury Hall and decided to book an engagement session to celebrate as well as a birthday gift to each other. Heather is an experienced leather-worker and creates costumes for cosplay and larping - how cool is that?! They are both outdoorsy and Andy works for a kayaking business. 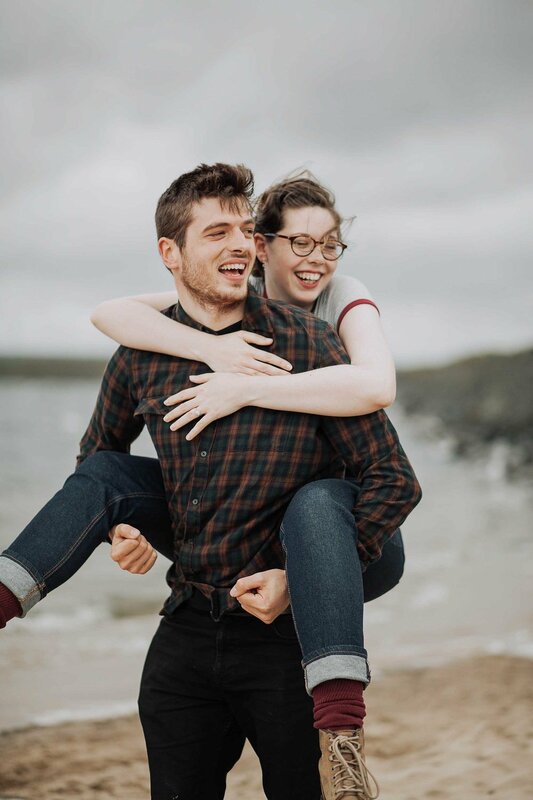 These two are a really cool pair and I already feel like I know them pretty well after our engagement session! 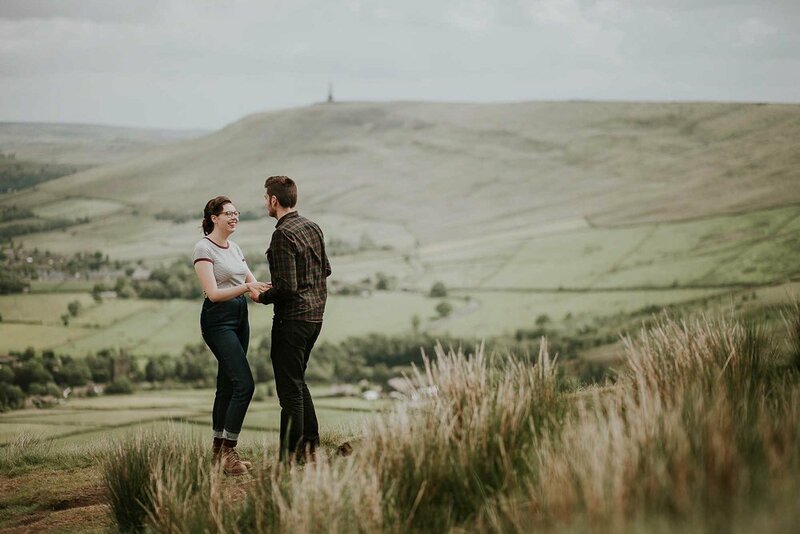 I took Heather & Andy up to a spot above Todmorden & Hebden Bridge called Gaddings Dam. The Dam is actually Britain's highest beach! (And yes, there is proper sand!) It's well known to the locals but has recently been featured on the news nationwide for being such an unusual spot. The beach is 780ft above sea level and although we did see a few crazy Yorkshire folk taking a dip, it was actually a super windy day where I could barely catch my breath! Even with the lack of verbal communication, Heather & Andy were fantastic and you can really see how much they adore each other. The session was really fun and relaxed. I photographed all the special quirks that make these two so sweet whilst making sure they were feeling comfortable. 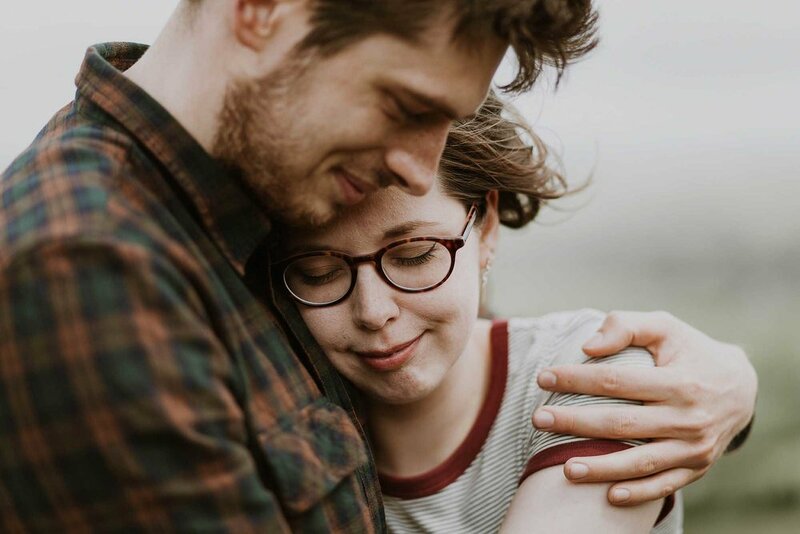 I understand how daunting it can be to be in front of the camera so I make special effort to ensure that engagement sessions are always relaxed. I didn't pose Heather & Andy except to say, 'hey go sit on that rock over there and cuddle!' to make sure I captured real and authentic moments between them both. Scroll down to see some of my favourites from the session!